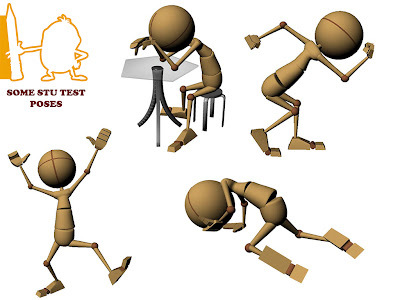 Anyway,back to work, here are some stu poses which did not qualify to be submitted as assigns. In order(left to right):Devastated, strength, excited, devas2. In stu pose assigns, I generally try to avoid cartoon cliches(that have strong sense of certain emotions) and both achieve orginality and strong feel but I know I am not quite there yet.